The AwesomenessTV show that I cut last year, “Guidance”, is now available to watch on Hulu! My particular episodes are 3-4, and 9-10. Though featuring a variety of network-imposed YA dramatic trappings (forgive the dreadful cold-open music choices), this season pushed the envelope with discussions of race, class, and sexual agency in an era of inescapable social media. In many ways, it predicted how vulnerable these online platforms are to misinformation and distortion, and that there are real consequences for imagined behavior. I’m proud to have worked on it. Enjoy! "The Kill List" has just won the OPC David A. Andelman Award, honoring the best in TV or video international reporting showing a concern for the human condition. If you haven't seen it already, I invite you to check out what happens when the leader of a country demands the death penalty for drug dealers. I'm pleased to announce that the documentary I cut last summer, "The Kill List" for NBC Left Field, has been awarded third place in Documentary Journalism by Pictures of the Year International (POYI). Congratulations to all the winners. I'm honored to be amongst you. The spookiest of mornings to you. Last year, during my residency, I collaborated with the students and faculty of Interlochen Center for the Arts to create a Halloween-themed music video. I'm pleased to say it's finally complete. Music is "Crime" by Night Sequels, who also did some of the music for Lay in Wait. To everyone who worked on it, thanks for your patience. Share and enjoy! The short documentary that I cut over the summer, "The Kill List", has been selected as one of Vimeo's Staff Picks. President Rodrigo Duterte of the Philippines was elected with the promise of killing drug users, and in the last year about 7-12,000 Filipinos have been killed extrajudiciously, either by the police themselves or rogue vigilante groups. A few months ago, Trump called Duterte and congratulated him on his “success” in tackling the country’s drug problem. This is a VERY disturbing film to view, but if you feel like you’re in a good enough place to be challenged, I would love for you to watch it. I had the great pleasure to work on the show Guidance earlier this year for AwesomenessTV. Sure, it mostly exists to fulfill young adults' appetite for seeing YouTube celebrities be dramatic actors. But our team tried to do something a little more interesting with it, and I think it paid off! Note: because some exec somewhere is terrified people won't watch anything over 8 minutes, each 22 minute episode has been split into three parts. This is profoundly dumb, but also it means that the episodes that I cut, originally 3, 4, 9 and 10, are now 7-12 and 25-30. Please excuse a networks inability to give any audience the benefit of the doubt. With all the changes going on in my life lately, I haven't had much time to reflect on a bittersweet milestone. My short film Lay in Wait, a delicious albatross that I've been wearing around my neck for the last four years, will be completing its festival run this weekend at the South Dakota Film Festival. Y'all know how much this movie has meant to me. It's seen the start (and end) of at least three romantic relationships. It's seen my change of residence from LA to SC to NE to SC to ATL to MI and back to ATL. It's given me, as a precious little gift, a bundle of every conceivable emotion, from euphoria to bone-grating frustration to depression to well-earned peace. It's easily the most ambitious, and most difficult thing I've ever had to make. And like a lot of projects that we do, I'm a different person now than when I began to make it. I hope a wiser and more considerate artist, one who's ready to move on. So thank you all. I've said this from the very beginning, but I couldn't have made this project without your help. I'm only as good as you allow me to be. 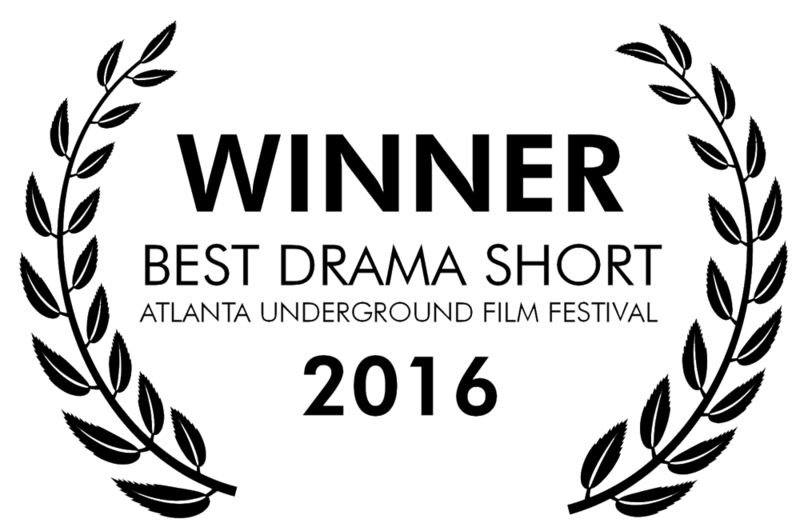 I'm pleased to announce that "Lay in Wait" has been awarded Best Drama Short at the 2016 Atlanta Underground Film Festival. Many thanks to the curators for this great honor, and to Atlanta for the warm welcome. I'm pleased to announce that Lay in Wait will complete its festival run in a city that I now call home, at the 2016 Atlanta Underground Film Festival. 7:30pm, part of the Deeper Understanding block of shorts. Tickets may be bought here. My sincere hope is to see you there! 2015 was a great festival year for “Lay In Wait”. After appearing at the Laguna Film Festival, we were pleased to additionally screen at the East Lansing Film Festival, Ft. Lauderdale Int. Film Festival, Reading FilmFEST, and Blow-Up Chicago. And now, we have two new festivals for 2016: the North Wales International Film Festival, and marking our NYC premiere, the Queens World Film Festival! Thanks to all our supporters, friends and family! We’re very proud of this film, and will be releasing it publicly online in Spring 2016. I’m pleased to announce that I have been selected as the Spring 2016 Filmmaker-In-Residence at the Interlochen Academy for the Arts, one of the oldest and most prestigious year-round arts academies in the country. I will be spending the first five months of next year teaching artistically-minded students the philosophy of cinematography while planning for my first feature. Many thanks to the folks at the Department for Motion Picture Arts for this great honor and opportunity. As promised, we have the full Q&A from the SAG Foundation Screening last week. I hope you enjoy a full thirty minutes of cinematic wisdom, literally in profile. Also, here’s a pro tip for when you appear on camera - don’t wear white. For those in Southern California that are kicking themselves for missing these screenings, we’re going to have one more this weekend. On Saturday, October 17th, at 6pm, the Laguna Film Festival will be showing Lay in Wait as part of their inaugural festival. We’re honored to take part! Lay in Wait had a fantastic weekend in Los Angeles. Last Friday, we screened at the Screen Actors Guild Foundation, where a packed audience of SAG performers watched the film and heard in a focused Q&A how we brought the project to life. Then, on Saturday, we screened in competition at the 15th Annual Emerson Los Angeles Film Festival as a part of the Alumni “Best of Fest” designation. The festival honors both current students and distinguished alumni in their efforts to bring their projects to the world. And I’m pleased to say that we won! We will bring you photos and video of the live event as soon as we have them. We had a wonderful experience at the Full Bloom Film Festival last weekend, where Lay in Wait won Best Narrative Short. Thank you to the festival organizers, the Statesville City Council, and our fellow filmmakers for this great honor. In addition, Lay in Wait will be returning to Los Angeles in two back-to-back screenings in early October! The first will be a SAG Foundation Screening, taking place Friday October 9th, at 1pm. It will be free to all. Click the link to RSVP. The second will be the Emerson College Los Angeles Film Festival, where Lay in Wait has been selected as a “Best of Fest” film in competition among other alumni films on the festival circuit. The festival will take place all day on Saturday, October 10th. Click the link to register. I’ll be attending both events, so I hope to see all of our LA based supporters while I’m in town. We’re so proud of the progress we’ve made on the festival circuit this year. We’re pleased to announce our Official Selection at The Blue Whiskey Independent Film Festival, a fiercely independent film festival located just outside of Chicago. Our film will be screening on Friday July 24th at 7pm. We’re proud to have our Chicago-area premiere at this festival circuit gem! We’re pleased to announce that Lay in Wait officially has been accepted at the Nickel Independent Film Festival in St. John’s, Newfoundland, marking our International Debut! Thanks to everyone for keeping the momentum up for our film! We’re so very proud to bring it to audiences all over the world. We’re pleased to announce Lay In Wait’s third film festival for 2015. We’ve been selected to screen at the Mammoth Lakes Film Festival, the breathtaking, mountainous region where we shot the film! Come see our movie in the beautiful Eastern Sierras on May 28th. You can buy tickets here. We’re so pleased to announce that Lay in Wait has received a Special Jury Prize for Best Cinematography at the 24th Annual Arizona International Film Festival. Congratulations to our cinematographer Alexander D. Paul! Stay tuned for the schedule announcement for the Little Rock Film Festival. We hope to see you there! We’re very pleased to announce that Lay In Wait has been selected for the 9th Annual Little Rock Film Festival as part of the World Shorts Competition! May 11th-17th. You can check out the festival here. Stay tuned for the official schedule! Our team is pleased to finally announce that Lay In Wait has been accepted to the 24th Annual Arizona International Film Festival, the oldest and longest-running independent film festival in Arizona! The festival will run April 9th - 26th in Tucson. We’re very proud to be part of one of the most prestigious film festivals in the Southwest. For everyone who lives in the area, we’ll be sure to let you know our screening date and time just as soon as it’s posted.